Keeping your boilers operating in a clean and efficient manner is vital. A deposit of just 1/16 inch can result in an efficiency loss of up to 20%. 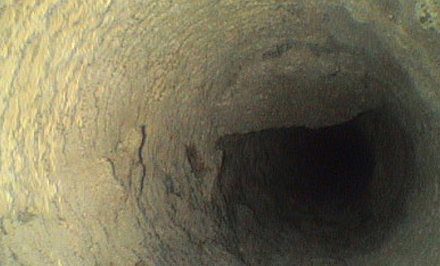 Heavier deposits can lead to tube overheating and failure. We offer a variety of boiler water treating compounds designed to help control oxygen corrosion, scale and sludge deposits, condensate corrosion, and more. We also offer products to help maintain pretreatment equipment such as water softeners and reverse osmosis units. Water softener resin can become fouled with iron or manganese. Resin fouling reduces the capacity of the softener and results in high feedwater hardness and boiler deposits. Reverse osmosis (RO) membranes can become fouled with mineral scales or microbiological growth. Membrane fouling leads to reduced capacity, more frequent cleanings, and membrane deterioration. A WCA representative will help you pick the program that will work best for you. the feedwater by demineralization, dealkalization, or reverse osmosis. 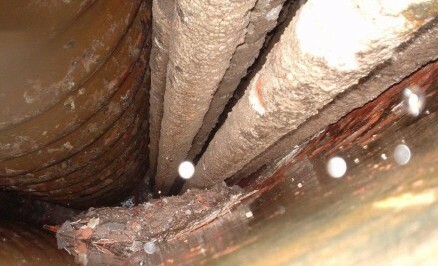 Corrosion caused by oxygen in boilers usually shows up as pits. Often these pits are covered by raised mounds of iron oxide. 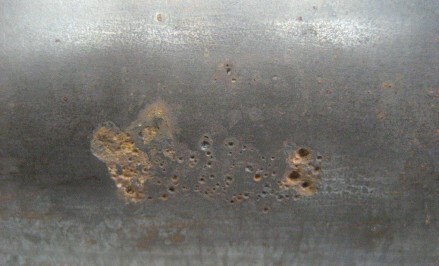 Sometimes this type of corrosion appears to be superficial, but it can penetrate the tube wall and lead to failure. The potential for oxygen pitting can be minimized by the addition of chemical oxygen scavengers and the use of mechanical deaeration. Because most cases of oxygen pitting take place when boilers are shut down, it is important to pay careful attention to idle and stored boilers to ensure that damage does not occur. Your WCA representative can provide you with a storage procedure suitable for your boiler system. Scale and sludge deposits can form on boiler heat transfer surfaces, resulting in efficiency loss and possible failure due to overheating. The most common types of deposits, those formed by calcium salts, are due to the presence of excessive hardness in the boiler feedwater. Other minerals such as magnesium, silicates, and iron can also cause deposits to form, as can iron returning from the corrosion of steam condensate systems— a common cause of boiler deposits. Excessive hardness or iron cannot be effectively treated with chemicals alone. A clean, deposit-free boiler results from maintaining high quality feedwater and, after proper pretreatment, utilizing chemical treatment programs that condition the remaining low levels of contaminants after proper pretreatment. 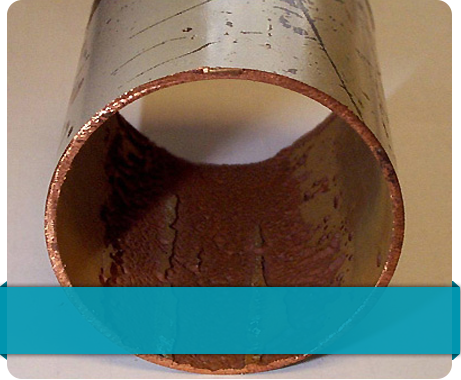 When mineral deposits develop on boiler tubes, they form a layer which prevents heat transfer. To produce the same amount of steam as a clean tube, the scaled boiler has to use more fuel, resulting in higher operational costs from excess energy consumption. Far more operational dollars can be wasted on excess fuel than are required to install and maintain pretreatment equipment and apply a proper water treatment program. When alkalinity is present in feedwater in the form of bicarbonate (HCO3-) and carbonate (CO3–) and enters the boiler, it breaks down to form carbon dioxide (CO2). The carbon dioxide travels with the steam and condenses throughout the system. When carbon dioxide condenses in the condensate system, it forms carbonic acid (H2CO3) which reduces the pH and causes corrosion. Chemical treatment programs which utilize neutralizing, filming agents, and oxygen scavengers minimize the effects of condensate corrosion. The most effective way to minimize the costs of treatment is to reduce the alkalinity in the feedwater by demineralization, dealkalization, or reverse osmosis.